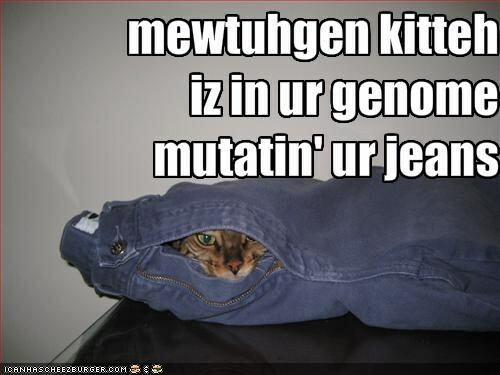 Science Caturday: Or is it Punday? A bad pun (and really, is there any other kind?) is built right into Science Caturday. You might say it’s in its DNA…..
And since two bad puns are better than one…. 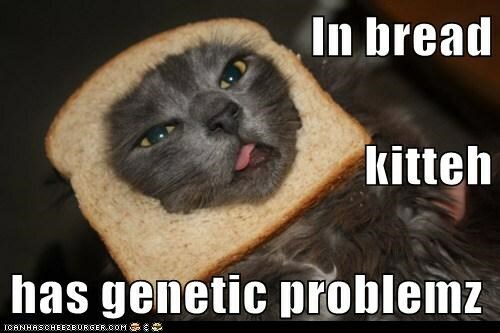 This entry was posted in Science Caturday, Uncategorized and tagged Genetics Cat, genetics lolcat, genetics puns, lolcat puns, science lolcat, science puns. Bookmark the permalink.